This is a reproduction of a very fond picture of me and my father just a few days before my wedding cherishing our bond. The background wash is done in a way that one wipes off the dust from an old photograph to give the picture a nostalgic feel. 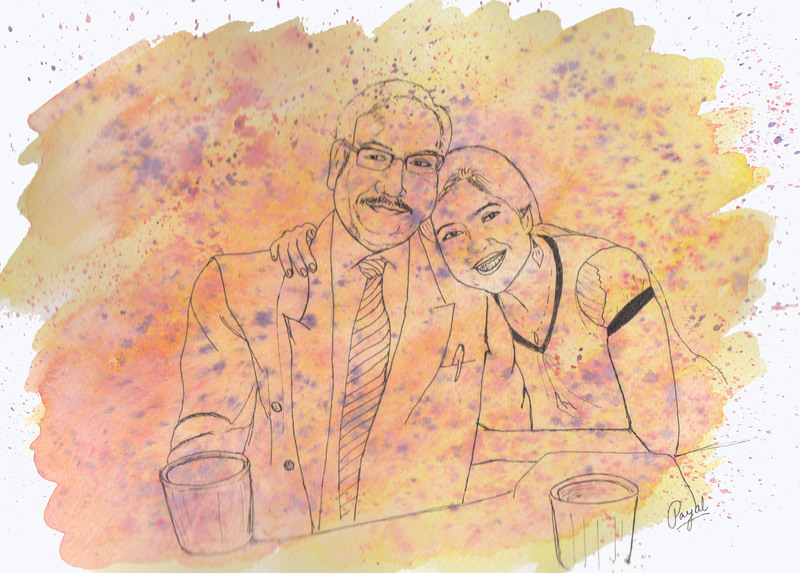 The sketch captures the loving smiles on both our faces packing the picture with emotions. The splash of color gives the picture a cheerfulness.